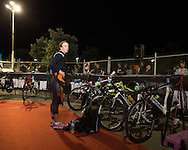 •	2,200 age group and professional Ironman competitors will complete a 3.8km swim, 180km bike and a 42.2km run throughout Melbourne's South East and Bayside suburbs. Cut off is 17 Hours. 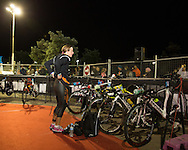 •	Male professional competitors include three time Ironman World Champion Craig Alexander, world Ironman record holder Marino Vanhoenacker and multiple Ironman champions Eneko Llanos, Cameron Brown and Luke Bell. Full field attached. 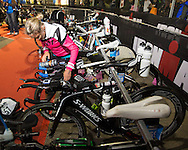 •	The women's professional field is spearheaded by defending champion Caroline Steffen, 2013 IRONMAN New Zealand champion Meredith Kessler, New Zealand champion Gina Crawford and former Australian champion Carrie Lester. Full field attached. We look forward to working with you and seeing you on-site at the URBAN Hotel Group IRONMAN Asia-Pacific Championship Melbourne. If you have any questions, please feel free to contact me on any of the details below.